I like the idea with a keyboard that enlarges and highlights the keys that you probably would choose next. Sounds very useful. Especially as you still get predictions too. 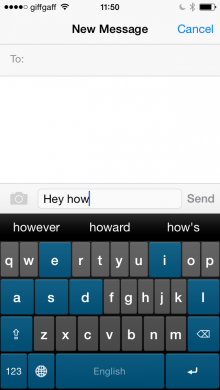 The keyboard ThickButtons for iOS does exactly that and is now available in the Appstore for $2. A great keyboard for people with fat fingers ;) Seriously though, I think it looks very useful for many users. It even support my native language Swedish and a lot more languages. It would be cool to try and see how good this keyboard really works. Maybe I get the chance to do that sometimes.